Form follows function ie. the platform is secondary to the capabilities the AF will prioritize. IIRC Gen. Hostage said the 6Gen could be a button that you press and the enemy blows up. That's a lot of leeway for designers to play with. Is it remotely possible that a 6th gen system could be partly space based? I ask simply because by 2020 space X will have a launch platform capable of putting the mass of a small naval corvette in orbit (roughly 1 million lbs). To not leverage that capability for our military would be a waste imo. Well NGAD is meant to be a family of systems and the F-35 + F-22 already utilise space assets, so I wouldn't be surprised if the PCA incorporates increased sensor fusion with space-based assets. As for SpaceX's ITS / BFR, it definitely could be useful for the USAF / the Space Corps, but it'll be a while until it's proven to be reliable enough to carry the kinds of government payloads that would require its thrust. China's plans for the 2035-2070 timeframe are a little unclear. Maybe we can get some climate scientists on this. They seem to be able to come up with accurate predictions 100 years into the future. arian wrote: Maybe we can get some climate scientists on this. They seem to be able to come up with accurate predictions 100 years into the future. No one ever claimed they can make accurate predictions for centuries in the future, but they DO have models with some predictive power. On topic: the Chinese plan to dominate the SCS and if the US will want to have a say in that, they would prefer to stay out of AShM range when things get too hot, so PCA will definitely need lots of range. You won't know if they have any predictive power until you observe the outcome and compare with the prediction. So, in 20 years. But yes, lets get back on topic. I posted that as a joke. juretrn wrote: On topic: the Chinese plan to dominate the SCS and if the US will want to have a say in that, they would prefer to stay out of AShM range when things get too hot, so PCA will definitely need lots of range. But, more importantly, SCS is not a place where an enemy can have convincing "area denial" capability. A few isolated islands cannot prevent much from moving around that area, regardless how many SAM batteries one puts on them. In my opinion, this PCA concept is for countering future 5th gen fighters. If in the future an enemy will have a comparable 5th gen fighter (and eventually someone will), then your existing sensors on your 5th gen fighters may be insufficient to counter them. So you'll need a platform that will be able to carry all sorts of additional sensors to augment your own, and operate with your 5th gen planes deep in an enemy's territory. You may need AESAs with different bands, more powerful EO or IR sensors, more powerful ESM sensors etc. All of that takes too much space for a fighter-sized plane, so this thing would need to be big and mostly full of sensors. However, the swarm UAV concept aims to do the same by distributing sensors across multiple UAVs controlled by 5th gen planes, flying ahead of it and giving it an advantage over a 5th gen opponent lacking these additional sensors. Personally, I think the best idea would be a combination of the two. UAVs may not have the range to operate too far, or the speed to keep up with the 5th gen planes. But a UAV mother-ship can deploy them when needed, and have the ability to operate "deep" with the 5th gen fighters. PS: As to the geopolitical implications of SCS, I never understand why we get involved in their disputes. Who cares if China wants to squabble with Vietnam and the Philippines over that area? There are some things not worth fighting over. arian wrote: PS: As to the geopolitical implications of SCS, I never understand why we get involved in their disputes. Who cares if China wants to squabble with Vietnam and the Philippines over that area? There are some things not worth fighting over. As I understand it the US is taking no sides and encourages the parties to work issues out diplomatically. The military posturing has everything to do with reminding China that their pop-up islands don't carry any weight as far as restricting the US' Freedom of Navigation rights in the area. This article will probably be posted later in other threads but I thought I place this in PCA because its the first instance official doc discussing numbers. CBO: 414 PCA with service entry in 2030 to start replacing the F-15C/D and F-22 by 2050. The 2 most relevant paragraphs. The PCA aircraft is one component of the Air Force’s Next Generation Air Dominance effort to develop systems that will eventually fill the air-superiority role that the F-15C/D and F-22 occupy today. 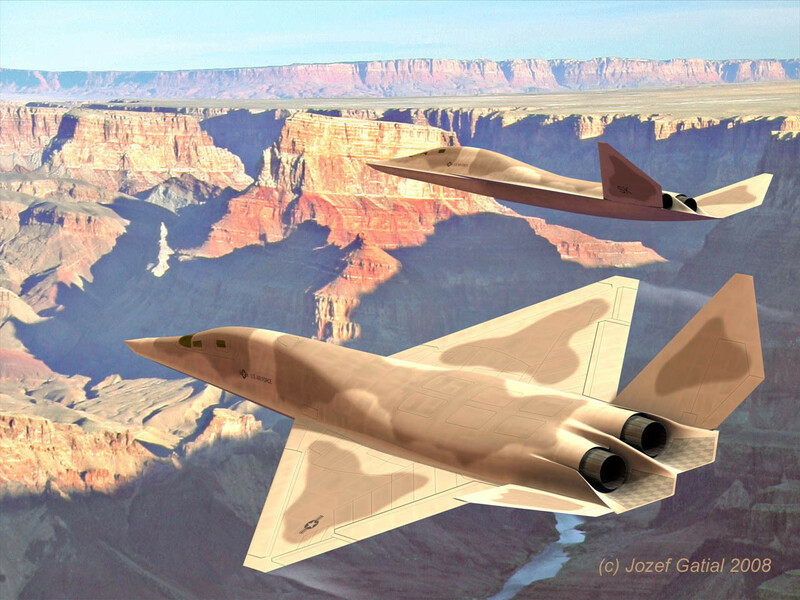 The Air Force has not determined the characteristics of the PCA aircraft, but the Air Force Air Superiority 2030 Flight Plan indicated the need for a highly advanced air-superiority aircraft to be fielded in the early to mid-2030s. CBO’s projection includes purchases of 414 PCA aircraft with an average procurement cost of about $300 million each. Procurement appropriations would begin in 2028, and the first PCA aircraft would enter service in 2030. (In light of the long development times associated with F-22s and F-35s, however, that projection of the PCA aircraft’s delivery schedule may be optimistic.) CBO projects that, by 2050, the PCA aircraft would replace the roughly 400 F-15C/Ds and F-22s that the Air Force operates today. CBO’s projected procurement unit cost for the PCA aircraft is based on two factors. First, the PCA aircraft would probably have a greater range and payload, as well as improved stealth and sensor capabilities, than today’s F-22; those characteristics would help it operate in the presence of the high-end air defenses that DoD believes China, Russia, and other potential adversaries may have in the future. (Stealth capabilities reduce the chance of detection by radar and infrared sensors.) Second, other stealthy aircraft, such as the B-2 bomber and the F-22 and F-35A fighters, have experienced cost increases that resulted in lower production rates and decreased total purchases. Containing costs for the PCA aircraft may be similarly difficult. If they want 414 they'd be better off asking for 2000. CBO report shows the limitations of projecting the past into the future. Industry and DOD have learned to contain costs on stealth after f22 f35 and b21. PCA might just as well come in on budget and on time. sferrin wrote: If they want 414 they'd be better off asking for 2000. Time and again, asked for numbers get whittled down. Look at the F-22: Original requirement? 750. Then every few years/Congressional reviews, down to 330 or so. We wound up with a silver bullet fleet of 187, which is really more like 120 combat coded (perhaps 150, if they fund upgrades to some of the "lesser" aircraft). It happens every time.. So yeah, we're going to have to ask for at least 1,500 - 2,000 to wind up with 414. That number itself I feel is insufficient, especially when you consider where a lot of the other $ is going. The USAF desperately needs an aircraft with a combat radius of at least 1,500 miles (each way), to minimize Chinese threats to our tankers, AWACS etc.. The F-15/F-22 fleet (tiny as it is) is probably adequate for most conflicts, minus the SCS. Much depends upon just how good the F-35 is air to air, as its ability to "pinch hit" is vital. Like the 1,000 swing role F-16's we have today, the F-35 may be needed in the air superiority role in the future. Personally, I think it'll do just fine. But even the F-35's legs will be insufficient in the SCS, at least without tankers. And yes, PCA will have to be sold as mult-mission. It'll have a stated primary function of air to air, but also air to ground, forward AWACS/ISR and flying magazine platform. Like an aircraft carrier in the sky.,.. weasel1962 wrote: because its the first instance official doc discussing numbers. It's pure speculation and extrapolation on CBO's part. Nothing more. so far the F-15 and F-16 have been the only ones that went the other way. The original plan for F-15s was 729 and F-16s was 1388. It's a bit more than that. It's long term budget planning. Good idea to start parcelling out priorities. That will influence eventual project definition. I read it as more signalling limits on affordability. That appears to be the intent of the paper, not just on PCA but overall replacement strategy. They are pulling unit cost estimates and quantities out of thin-air. have been useful in motivating projection definition. But they don't even attempt that. mixelflick wrote: Much depends upon just how good the F-35 is air to air, as its ability to "pinch hit" is vital. Like the 1,000 swing role F-16's we have today, the F-35 may be needed in the air superiority role in the future. Personally, I think it'll do just fine. Australia and Japan are both to use the A as their primary A2A. Why would anyone doubt the A2A dominance capacity of it, at this point? mixelflick wrote: And yes, PCA will have to be sold as mult-mission. It'll have a stated primary function of air to air, but also air to ground, forward AWACS/ISR and flying magazine platform. The Counter-Air part implies its an airforce killer plus strategic SAM + sensors killer, so will require a heavy strike-fighter with exceptional stealth, power, agility, range, payload and weapons bay size. Basically everything the F-35 is, but around twice that capability seems to be the implied objective. They can only get that 'cheap' and in service by ~2030 via re-using a lot of the F-35's sensors, avionics, computers and code. So it's the airframe stealth+aero optimization, bay size and engines they need to focus on. And frankly I can't believe they've not been working that up in detail for several years already, i.e. you already have the team that created the outstanding F-35 airframe trade-off, so you set them the new task and concept. That would have occurred some years ago. Plus newer propulsion options exist already. On the one hand, we have certain F-35 detractors which (still) question its air to air prowess. Not as maneuverable as an SU-35, could get run down by an SU-57 etc.. So until there's actual combat data showing its superiority, that question will always remain. OTOH we have the result of several Red/Green flags showing it's 15:1, some say 20:1 air to air combat record. The problem is these results are mired in a web of confounding factors. Did the F-22 assist? What were the ROE's? Until those are laid bare, there will always be questions. What I think is most telling though are Israel's and Japan's actions. Shortly after getting their hands on the bird, they either talked about or formally requested larger numbers. I can only imagine 1.) practical/combat experience and/or 2.) being privy to classified briefings showing its capabilities explain this interest in buying more. Don't get me wrong: I think it'll prove to be a superior air to air platform. It really irks certain people though that it was compromised somewhat by the swing role. I know, I know. That's what the customer ordered. Hopefully years from today we'll have reams of data showing F-35's AMRAAM shots/kills vs. all kinds of adversary aircraft like J-10's, J-11's, SU-30's, SU-35's etc.. Maybe even a few WVR 9x/gun kills. All of the kill ratios in the major exercises have been >20:1. It's not a "some say" situation. Additionally, the kill ratios are strictly F-35 kills. They weren't combining the total number of kills, and just attributing them to F-35s. In Red Flag 17-1, F-35s had 145 kills and 7 losses (due to WVR respawns.) As for ROE, they've flown neutral merges, as well as defense and offense. The OPFOR had 3:1 numerical advantages, as well as the ability to respawn 3 or 4 times (as long as they had fuel, they could stay in play.) It's been stated over and over, that the difficulty levels have been increased well above any in past exercises, to provide challenging training, for F-35 pilots. These were not scripted exercises, for marketing purposes. There have been other training exercises where kill ratios exceeded 25:1 (and some were >27:0.) F-35s aren't just a little bit better than 4th generation jets. They've been dominating, in the same way F-22s do. These have also been 3i jets only carrying two AMRAAM. Hopefully years from today we'll have reams of data showing F-35's AMRAAM shots/kills vs. all kinds of adversary aircraft like J-10's, J-11's, SU-30's, SU-35's etc.. Maybe even a few WVR 9x/gun kills. Ah yes, I'm sure you would love to have lots of data about how good the F-35 is by engaging in what will definitely be major wars that will cause untold death and destruction. Because if the F-35 is shooting down that many planes, that's what will happen. How about building enough F-35's that the US and allies have such a quantitative and qualitative advantage that our adversaries won't even think about trying to shoot any down, and wars can be won without firing a shot? Or is that not cool enough for the little wargames you like to play out in your head? wrightwing wrote: They've been dominating, in the same way F-22s do. Ignoring other factors, such numbers are deterring, they can wipe-out most medium size air forces and demolish most of some of the larger ones in A2A. Much more impressive and useful than kill ratios that were being predicted even 5 years ago. I never doubted it would be a lot higher than the presumed 4:1. So that's sorted as far as I'm concerned, as such a scale of air to air is very unlikely. So I'm hoping the remaining intended jet numbers to be procured by RAAF consists of a two-tier 28 x PCA acquisition a bit later, rather than 28 more F-35s sooner. That would hold PLAAF bombers at risk at much higher radius and limit the reach and effectiveness of their weapons. Thus creating a more deterring force with deep-reach into the northern-arc's approaches with less tanker exposure. If Japan does similar to this then PLAAF/PLAN would be feeling it especially with USAF B-21 numbers building at the same time USAF PCA does, and thousands of F-35s have proliferated with the F-22A finally fully updated. More reach with F-35 like capabilities is definitely what's called for, in this region. If we have to get it through PCA plus tankers and long-range VLO standoff weapons, rather than a carrier, so be it. Plus PCA would be able to support the surface fleet to higher radius. I spoke about aircraft, not people. Everybody punches out and gets to go home.Feel better now? Just speculation on my part but think the PCA will have large enough weapon bays to accommodate more than (2) 2000lb class weapons. Think the trade studies will show that providing enough volume and weight carrying capacity for a greater number of air to air missiles needed will alternatively allow you to carry more air to ground stores. Think they'll size the bay(s) larger also to carry Hypersonic weapons for greater stand-off. The CBO report appears to support replacing the F-15E with the F-35. Based on the above think the PCA would be a more reasonable replacement for the Strike Eagle. In any event the CBO report will hopefully get the AF to define what when and maybe where we'll see the PCA. DEWS, EA, EW are as big a motivator as conventional stores for aircraft sizing/configuration. wolfpak wrote: Think they'll size the bay(s) larger also to carry Hypersonic weapons for greater stand-off. If you have greater standoff from a bigger VLO weapon you don't even need to carry it internally. marauder2048 wrote: DEWS, EA, EW are as big a motivator as conventional stores for aircraft sizing/configuration. You do like to push F-35 as the solution to all ills, but there are real limits to its capability, and adding "ultimately" to your sentence doesn't change that. We have a reasonably good idea where the limits fall when it comes to what matters in a 'Penetrating Counter-Air' strike role post-2035, such as stealth, reach, speed, weapons and payload. 'Penetrating Counter-Air' implies offensive counter-air, and that means hard-killing of ground targets, which will be at least as important as new A2A capability weapons. The carriers are not the place to launch such attacks from, using F-35C or B, so that means its down to the forward bases and they're subject to substantial return-fire attempts. So the first deep Counter-Air strike wave had better be overwhelming and persistent, and not require tankers to get close. The F-35s would thus necessarily be limited to operating in support, nearer to the margins of such initial Offensive Counter-Air attack. Until major threat systems go down the carriers also need to stay back and likewise support attacks around the margins. "So the first deep Counter-Air strike wave had better be overwhelming and persistent, and not require tankers to get close." Unless some kind of warp drive is invented in the next ten years, every (reusable) asset will require tanking -- all of 'em -- because you can't otherwise afford 'overwhelming' or 'persistent' or the range implied in getting 'close' (or 'close enough' to go along with the other two). The extra range does mean tanking occurs further back which either gives tankers a safer zone or allows counter-air more time to intercept. It may also give the option of only needing to tank on the return trip, while keeping tankers at a safer distance. That also preserves a greater element of surprise. quicksilver wrote: "So the first deep Counter-Air strike wave had better be overwhelming and persistent, and not require tankers to get close." One of the original touted aims of PCA was the ability to loiter within enemy airspace. High-altitude loiter-speed (i.e. barely within envelope low-speed, minimum drag possible) engine efficiency and stealth design emphasis gets that. Popcorn pointed out that the propulsion planned is not an engine we know about. The challenge then is penetrating via not being tracked early (i.e. HF/VHF). Speed is not a priority, stealth will be. I expect wedge-shaped with shorter wings, large wing area and high body-lift (operating well above mid-latitude jetstream loiter inefficiency, but can still take advantage of it for cruising) for very low drag levels with M~0.7 loiter with airliner-like low fuel burns for the size and weight of aircraft. Very much like evolving an F-117A approach of sneaking in slow, unnoticed, then pole-axing an opponent in a couple of minutes. While the larger more obvious external air operation gets rolling, then PCA hangs around to take on targets of opportunity and to kill with A2A then get out past the incoming F-35 lines to find a tanker and RTB. At the same time the next waves of PCA are going in deep to take out what your ISR detected and prioritized. If the intent is also to incorporate longer-ranged AAMs, then launch speed will still be a factor. weasel1962 wrote: If the intent is also to incorporate longer-ranged AAMs, then launch speed will still be a factor. ... that it's also the ideal shape for going fast at high altitude so the engine gets that capacity also. An observer just looking at the shape (on the ground) would presume it's optimized for very high speed, when it's actually optimized for low-speed loitering as well (much like the F-22A is in that respect). I should also mention the trading of altitude for speed, rather than relying on a throttle alone to get the launch parameters, thus minimizing fuel burn and heating while allowing for a gradual climb back to the prior level. If you have strong stealth and the long-range sensors for it, you will also have the time to do that (plus coordinate with other PCAs and their data to get A2A kills). Again, the original PCA idea was to rapid-prototype and produce a basic airframe in service [i.e. with less capability than an F-35A] but with a lot of adaptability and flexibility allotted to the design fielded, then develop, evolve and add to it incrementally, over decades, as the penetration requirements and the role evolved. i.e. cheaper and shorter into service. Fantasy...and an expensive one that the USAF cannot afford; $300M per pony, and they’re still choking on $85M F-35s in the numbers they need to recap the majority of the force. Regardless, in a period when strategic assessments indicate Great Power conflicts could realistically occur, the budget constraints, thinking and assumptions of the prior period of low-levels of threat are no longer applicable. Sweeping generalizations do not erase geography and the laws of physics. Do the math. Where do they have to come from? Where do they have to go? How long do they have to stay there (airborne)? Where do they have to return to? What weapons will they carry and how many (internally, no less). By your claims they have to be overwhelming (ie numbers) and persistent (stay for a while) in the middle of contested airspace. And the systems cimmands overseeing the project are oh-for-three on delivering the newest shiney object on time and on budget, while Congressional oversight says the unit cost will ONLY be 300% of what the most recent government acquisition ordeal comes to. How’s that B21 thing going? How’s that new tanker going? How about a new land-based strategic deterrent? To geography and lop, let’s add money, politics and government bureaucracy. As excited as I am for PCA, I have to agree - thing is going to be hella expensive. The USAF is in real jeopardy of not being able to afford 1,700 F-35's, and a truncated order just drives the per unit cost up (for everyone, not just the USAF). I agree the capability is nice to have, but what's more important? 2.) Fielding an air force full of cutting edge strike fighters, vs. continuing to fly geriatric F-15's and 16's? As much as I'd like both, I think #2 is more important. It may mean we're not able to impose air dominance over the Chinese mainland, but is that really necessary? To my mind, it's more important to checkmate them outside of their borders. Build an Air Force that can hold and keep Japan, S.Korea, Guam, Taiwan etc.. Besides, what kind of foreign policy demands we take China altogether? Let the Chinese have China. We'll take everything else..
You have to define what expensive means. To me and my salary, a brand new Cessna SKylane is hella expensive. The F-15s and F-16s are wearing out. The US has something like 175 F-15C/D and roughly 200 of the Strike Eagle. The C/D are irrelevant in a modern battlefield and far, far too out numbered. Don't forget what the best defense is: a strong offense. Fielding a force of aircraft to keep the Chinese and (ahem the North Koreans) from trying to expand is a losing strategy because the Chinese will challenge the US every change it gets. Look at what's going on with freedom of navigation in the world's free oceans because the Chinese decided to build some islands with runways and missiles on them. To counter the Chinese, you need a variety of systems that can penetrate their airspace. The B-21 will be one "hella" important asset when it comes to that. If the US can field an ultra long legged PCA that can penetrate their homeland, that will shift their focus from expanding overseas to defense of the homeland. We WANT to stop them from developing overseas bases. The US needs to contain the Chinese threat from expanding. The way to do that is to threaten their homeland. quicksilver wrote: Congressional oversight says the unit cost will ONLY be 300% of what the most recent government acquisition ordeal comes to. for fixed-wing aircraft for outyear estimations. So it's useless even as a budgetary guide. quicksilver wrote: How’s that B21 thing going? quicksilver wrote: How’s that new tanker going? quicksilver wrote: How about a new land-based strategic deterrent? shared between the Navy, NASA and commercial/DOD space. It's not just over China's mainland. The China Sea theater is huge and the F-22 doesn't have the legs. Budgets are not completely invented. What the CBO, which is the budgeting office, does is to lay down markers on affordability. I think the fact that they have incorporated this into projections suggest its affordable at $300m a pop, if there isn't massive cost overruns and a second point. That second point being that if its going to be at $300m a pop with current F-35 acquisition, there needs to be an increase in budget (or consequently some movement in F-35 acquisition). Some read the 2nd part as unaffordable, others would read that it merely needs some planning. I don't think F-22s are currently too short ranged. This depends on basing. On south china sea, what the CVs can deploy is way more than the PLAAF/PLAN basing capability in that locality. F-22s from Guam can already reach that locality w tanker support. For Taiwan and China near shores, the main available bases are in Korea and Japan. If deployed from those bases, the range of the F-22 is enough, even without significant tanker support. What would require significantly more tanker support would be basing from Guam. How would PCA change the above w added fuel? On basing from Guam, it will still need tanker support, just less. However, current tanker support from Guam is relatively safe because its a long way from China so in my mind, its not really that useful. On basing from Korea/Japan, it increases loiter. Whether that's worth the added fuel carried is a question mark. Convince the Philippines to open a base and problem solved. Overall, I'm not currently convinced a massive increase in fuel load for PCA is useful. An increase corresponding to the higher thrust next gen engines that would preserve the current combat radius would be logical but beyond that, I'm not sure. I'm not a F-22 pilot either so there would be operational issues that I won't be aware of but based on public info, I don't see the value for a china context.